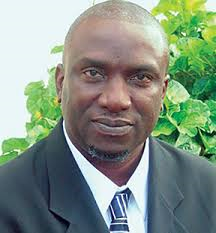 Donald Romeo is the current Premier of Montserrat (since 12 September 2014) and Political Leader of the People's Democratic Movement (PDM). Born in Salem, Montserrat in 1962, Donald attended the Salem Primary School and Montserrat Secondary School, George School, a Quaker boarding school in the United States followed by Temple University as a pre-med student with the intention of becoming a dentist. After the 1st year of studies, he returned home at the age of 20 to assist his ailing father with his hardware business, which he did successfully. Within one year, he left his father in the best financial situation in the 20 plus years since his business began. During that time, he became a youth leader in the New Carmel SDA church, the Vice-President of National Basketball Association and played centre for the first national basketball team. In 1984, he moved to Britain where within a year he got into art and soon became a self-taught portrait artist. Attempting to earn a living as a portrait artist, he immediately took to the streets paying models to sit for him, doing sketches for both locals and tourists. However, in 1989 Hurricane Hugo brought a sudden end to his free-style and adventurous life as an artist. With 90% of Montserrat’s housing stock without a roof, art was no longer a priority. He made the obvious decision to join his brother Julian and sister Valerie in the reconstruction of the family business. As soon as this business had gotten on a fairly strong footing in 1994, he made the move to publish and market his Collect-a-card and limited edition prints collection regionally and in the United States. But once again disaster struck and the Soufrière Hills volcano erupted in June 1995 in the midst of a very successful sales show in Guadeloupe. Don promptly returned home. Romeo successfully contested the 2009 general election and was selected as Opposition Leader in the Legislative Council. On 30 April 2014 Romeo established the People's Democratic Movement (PDM) in order to contest the 11 September 2014 general election. The election saw the PDM win seven of the nine seats in the Legislative Assembly, and becoming the ruling party. On 12 September 2014, Romeo was sworn in as Montserrat's second Premier.